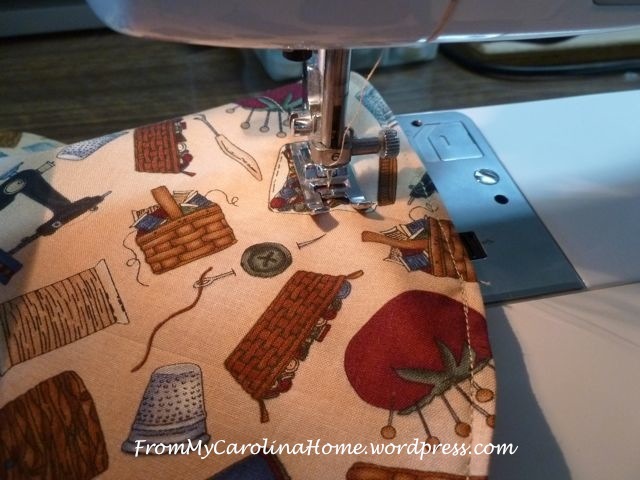 Did you know that September is National Sewing Month? You would think that I didn’t know, with the few actual sewing projects I have done this month. So to make up for it, here is a project can be done in under an hour. Read all the way to the end for a chance to win a Bernina sewing machine! 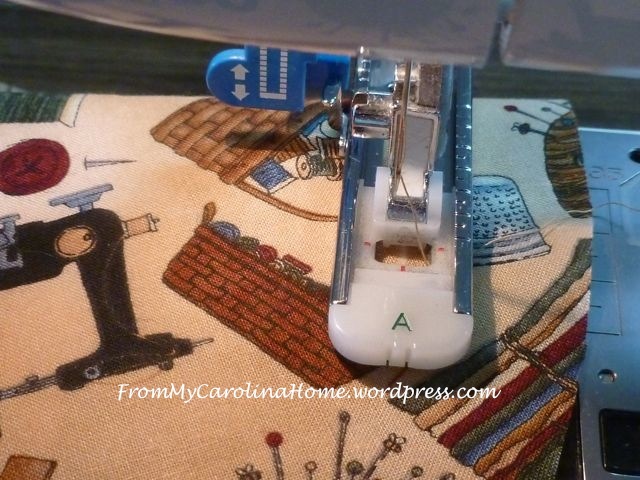 Isn’t this sewing motif fabric cute? This one looked nice with the red print as a contrast for the inside. 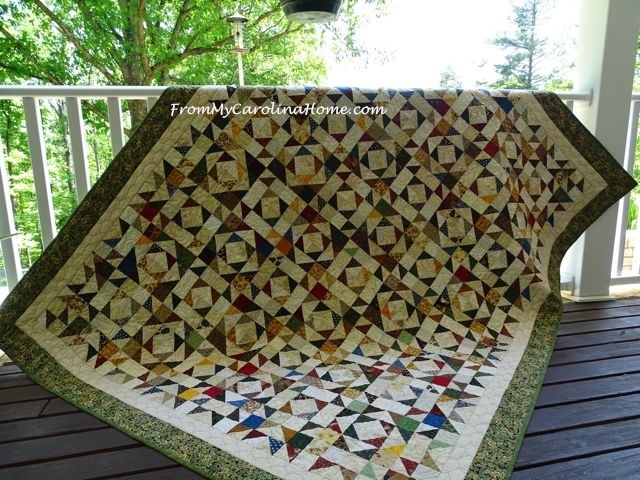 All you need for this project is two squares of fabric and a yard of string. 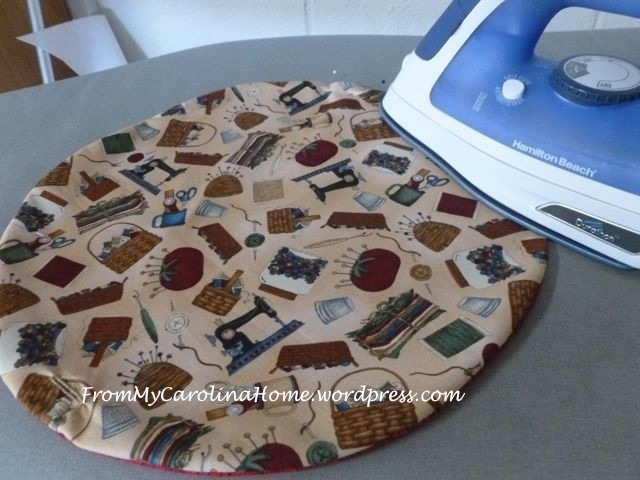 I started by cutting a 10-inch circle from both fabrics. Pattern weights make this fast and easy. You can play with the size to fit your needs. I have made them as small as 8 inches, and as big as 15 inches. 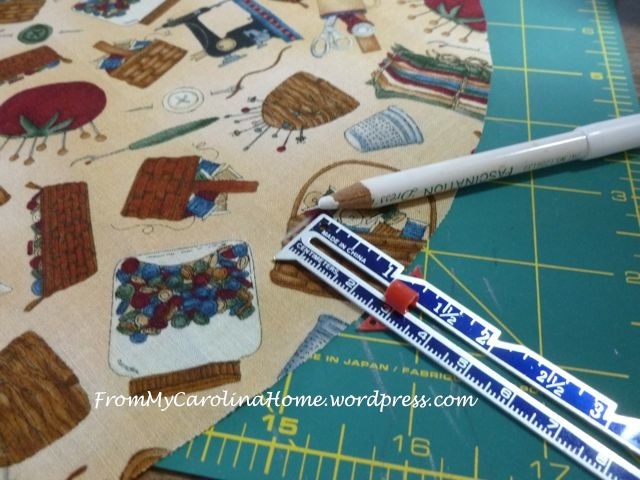 Measure in one inch from the edge and mark a line for a buttonhole. Carefully cut open the inside of the buttonhole with a pair of scissors. 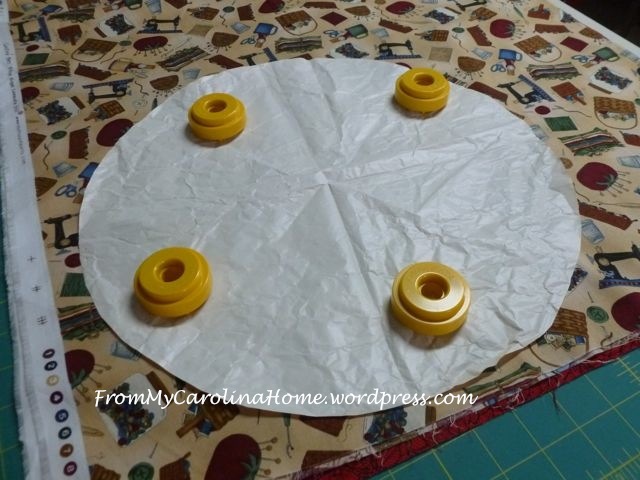 Place your two circles right sides together and sew with a 1/4 inch seam allowance along the edge, leaving a space for opening. I use my 1/4-inch foot for accuracy. 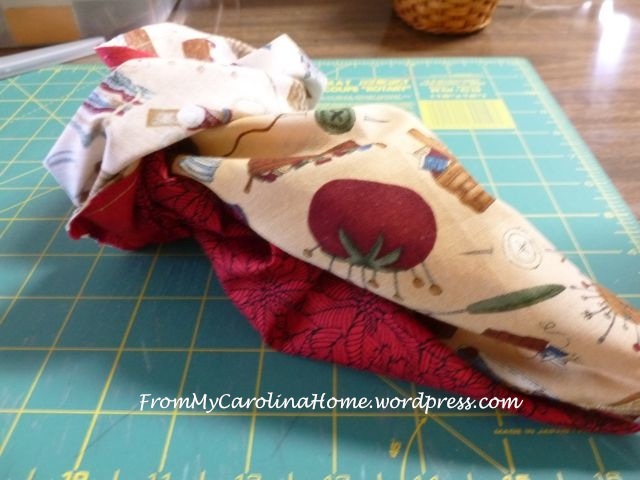 Use a chopstick or something similar to push the fabric out to the seam. Pin the opening closed. Don’t worry, no hand work here! 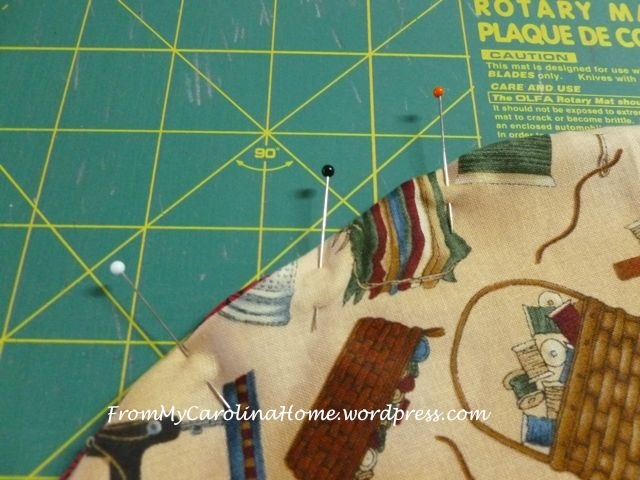 Press the seam into a smooth circular shape. Now topstitch 1/4-inch away from the edge. 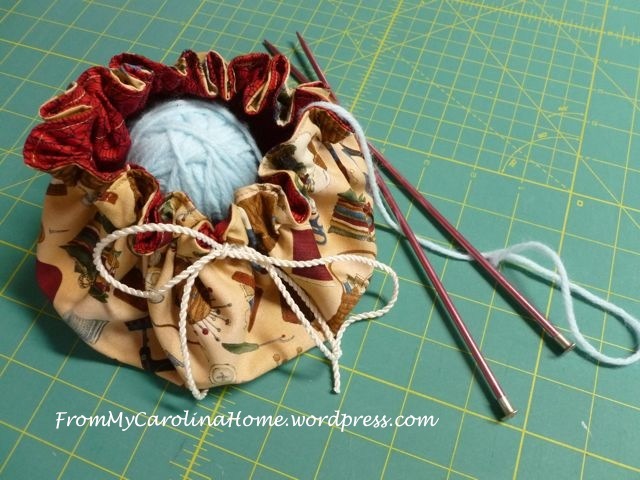 This will close the opening you used for turning, and allow a little ruffle on the finished pouch. Your next sewing line will be about an inch farther in, be sure to go on the inside edge of the buttonhole. This creates a channel for your draw string. 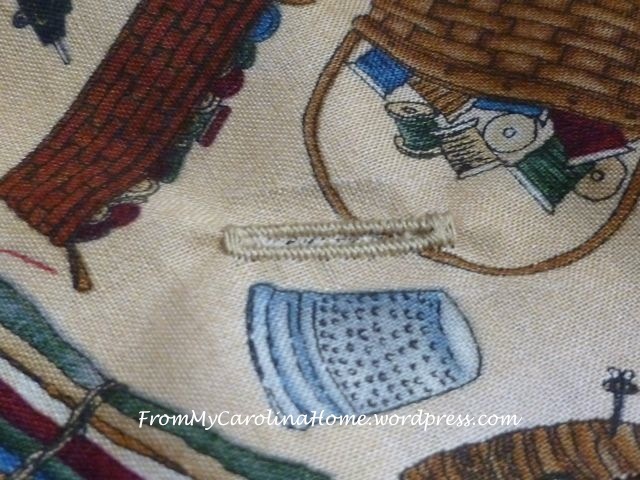 Using a bodkin, thread the string through the buttonhole, around the pouch and out the same buttonhole. 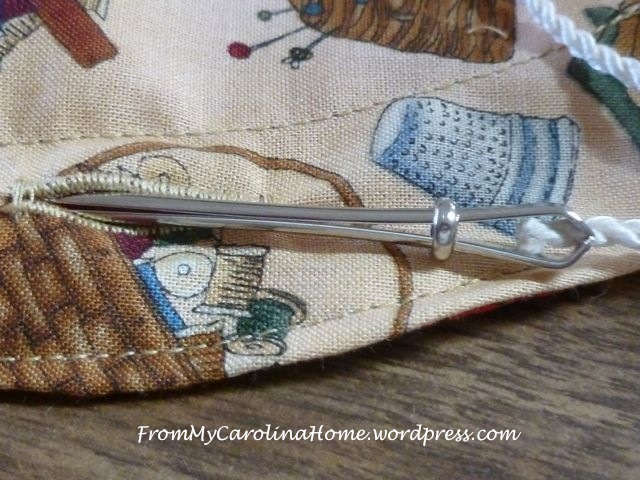 Pull up on the strings to create the pouch bag. Tie into a bow. 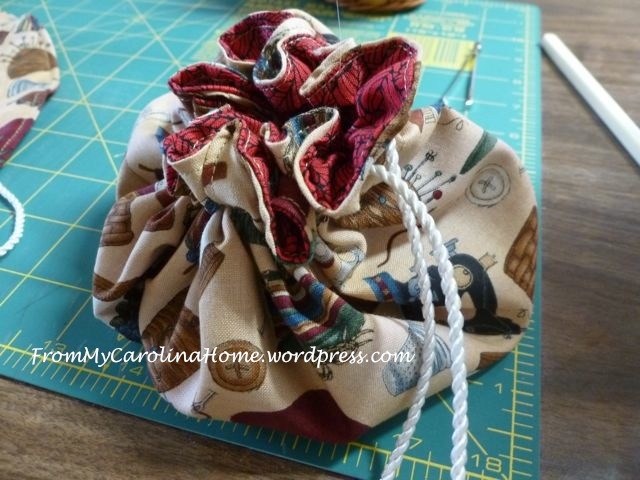 You might also want to add knots to the ends of the string to keep them from raveling. Ready to gift with whatever you like inside. Maybe a couple of spools of thread for a sewing friend. A knitting friend will find it valuable to keep her yarn ball from running away. It stands up on its own, and would be an ideal thread catcher too. Just tie the bow with the top open. There you are, quick, easy and handmade with affection for anyone you choose. 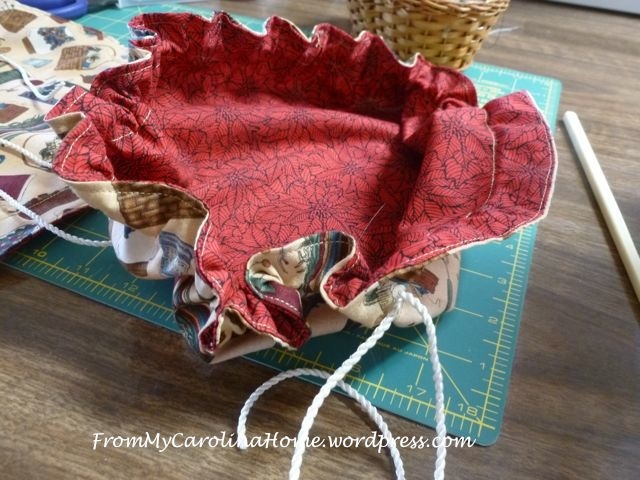 It is the same basic design as the Christmas Candle Wrapper I made last year, except the ruffle is smaller and uses a string instead of ribbon. 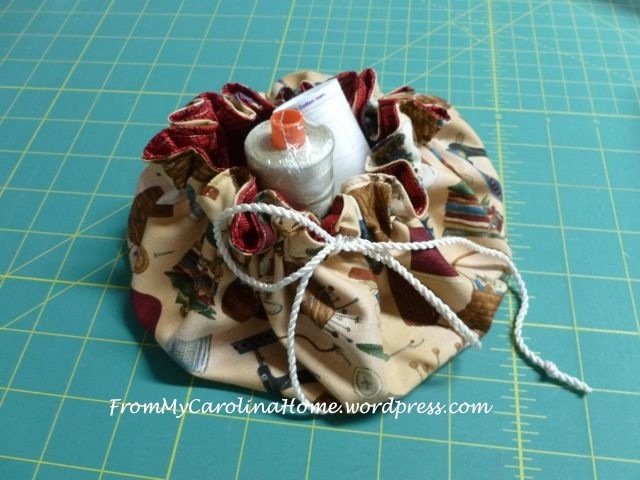 This same basic pouch is used for a jewelry keeper for travel or a sewing kit too with the addition of an inside piece for pockets and a stabilizer. Would you like to see how that is done? Now, for the giveaway, just go to the All Free Sewing Website at this link – BERNINA 215 Simply Red Sewing Machine – and enter to win this machine donated by BERNINA with a value of $999.00. One lucky winner will receive a BERNINA 215 Simply Red Sewing Machine! 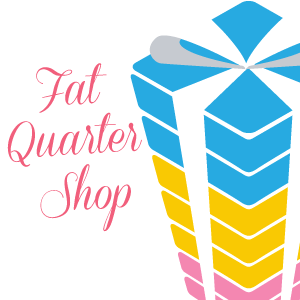 The deadline to enter is October 6, 2015 at 11:59:59 p.m. Eastern Time. The B 215 Simply Red is ideal for price-conscious beginners who value quality and sewing convenience. 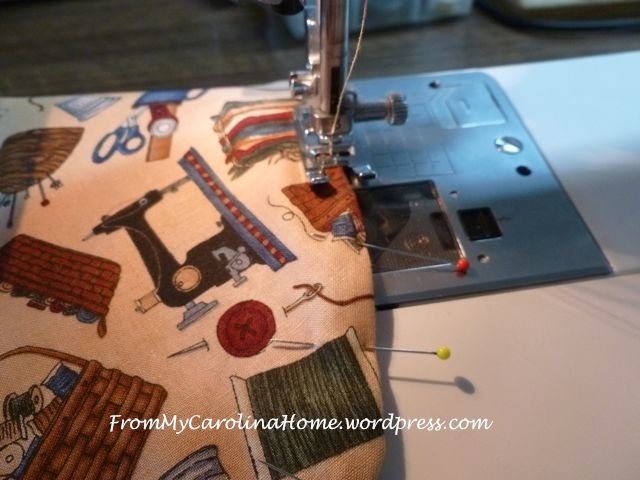 It’s a user-friendly machine that can easily handle thick layers of fabric, perform a multitude of creative techniques, and can be upgraded with a wide range of accessories. Features include a built-in needle threader, thread cutter, backlit LCD, and direct-select keypad for accessing 11 stitch patterns including a buttonhole. 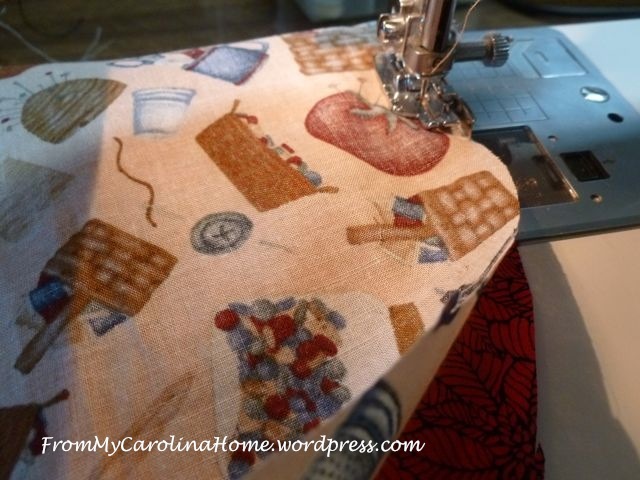 Check out the All Free Sewing blog on Sept 25th for my Serged Napkins tutorial too! This is cute. I am going to book mark this pattern in my sewing folder. I love the sewing fabric. 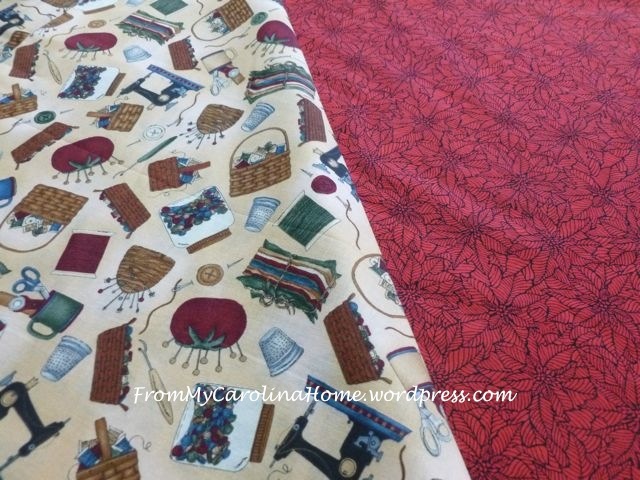 I have sewing fabrics too. Happy Wednesday.. It is nice and cool here. 54º last night in No Va near the Blue Ridge in Loudoun County. This is so cool and looks pretty easy. 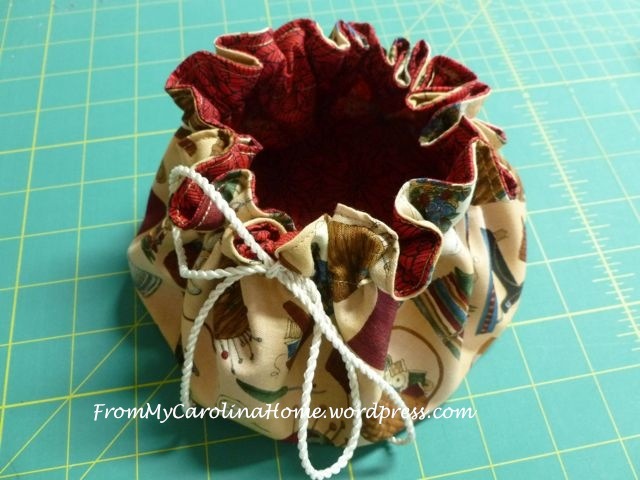 I LOVE the button hole for adding the drawstring…brilliant!! 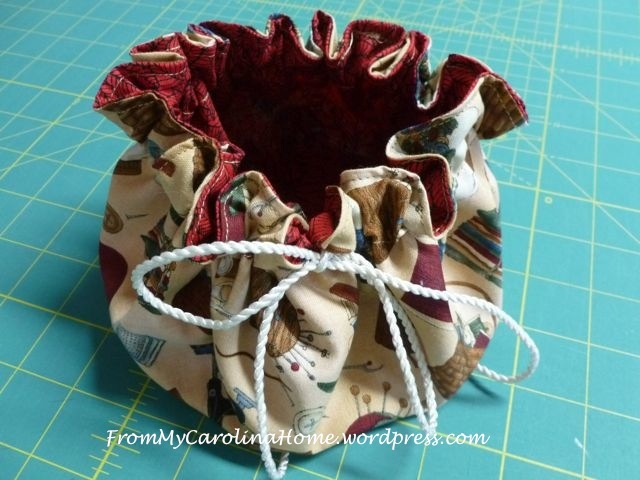 Cute, easy pouch. 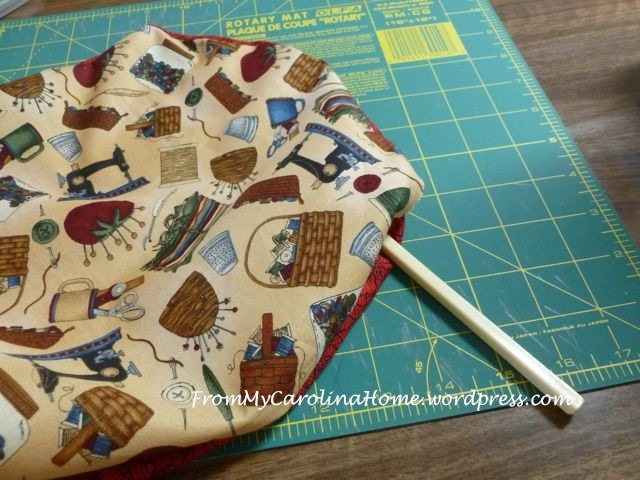 I know I will sew a few for gifts and a sewing pouch for me. How do you make the pocket? Thanks for showing this. Have a great day! Such a cute little bag. I can even manage that with my rusty sewing skills 🙂 and it will come in handy for my winter crochet and knit projects. Thanks for sharing. Really cute. I love the fabric. I, sadly, have done almost no sewing this month. I need to fix that! 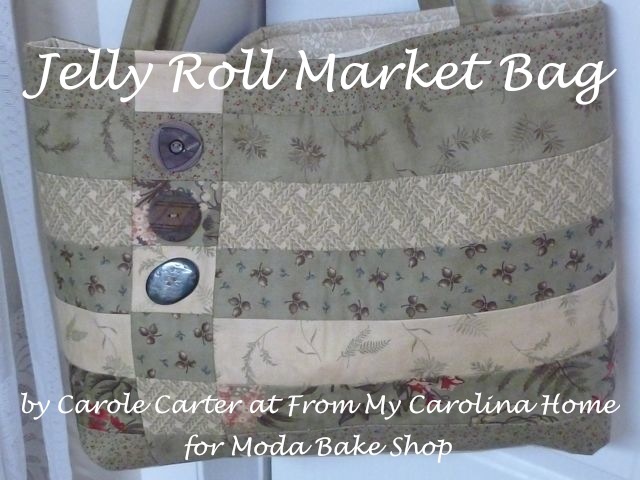 Carole, this is a fantastic tutorial! I have been trying to come up with a simple project that does not take a lot of time for all three of our daughters. This definitely fits the profile. Plus, it is so adorable with the fabrics that you chose. I may even have to make them a couple each in various fabrics to use with their ever changing and growing outfits! LOL. Are you a outfit aholic? In my immediate family, there are 7 females and each and every single one of them, except me, I swear buys a new piece of clothing every week. 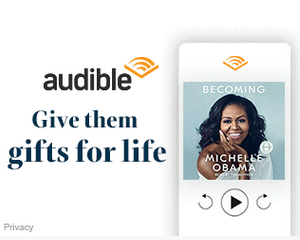 I tease them all and tell them I could save them all thousands of dollars a year and make what they want. But none of them are into the “homemade”. 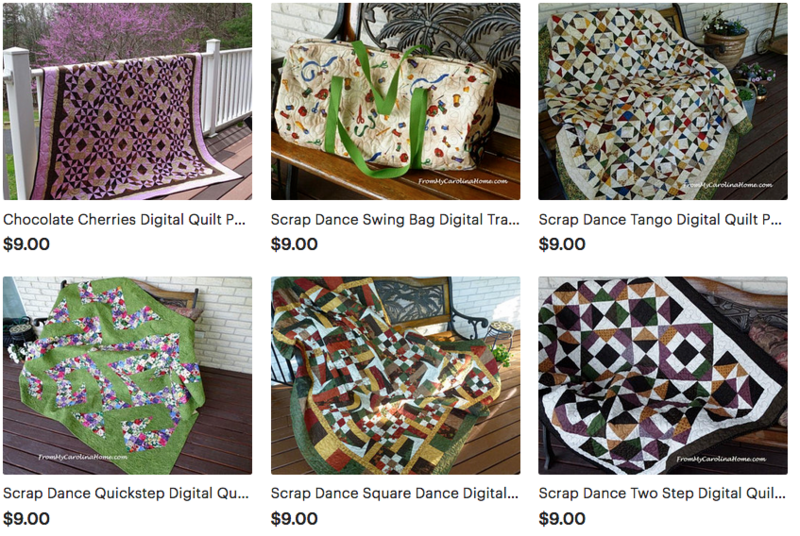 Now on the other hand every single man in our family loves everything that I make for them and pretty much begs me to stop quilting (unless it is for them) and make them a shirt, pillows or whatever. Just realized this will make a great topic for my blog post later today or tomorrow! 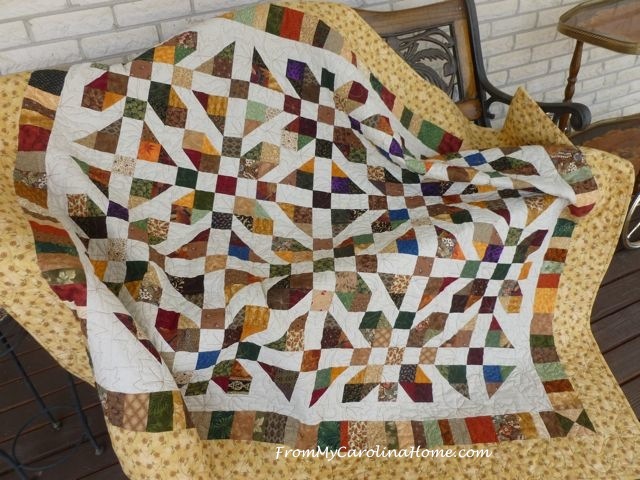 I will be finished with my one quilt today finally and will begin assembling the mystery quilt. Will post pictures later today also. Enough of my jabbering…………….you have a spectacular day and thank you for sharing! I love it!!! 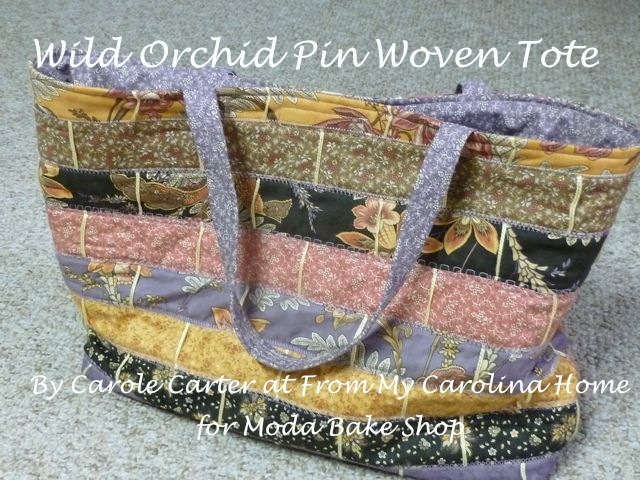 I have used this pattern before to make a jewelry bag, but I would love to see your version. Mine don’t always turn out as well as I think they should. Great instructions, thanks! A good reminder of a little goodie to make for the grands as they always have something that could be stashed. Thanks, Asia! I tried to email you back a response, but your email isn’t working as typed in. Thanks for sharing! This is cute! Drawstring bags are so useful. Your approach to making them is handy. Thanks for sharing.